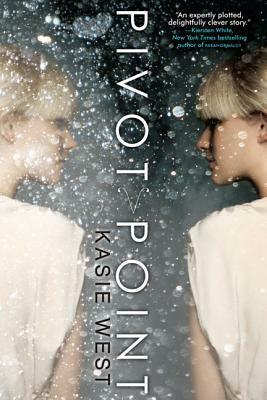 Perfect for fans of Sliding Doors, Kasie West's riveting novel Pivot Point follows a girl with the power to see her potential futures. Addison Coleman's life is one big "What if?" As a Searcher, a special type of clairvoyant, whenever Addie is faced with a choice, she is able to look into the future and see both outcomes. So when her parents tell her they are getting a divorce and she has to pick who she wants to live with, a Search has never been more important. In one future Addie is living with her mom in the life she's always known and is being pursued by the most popular guy in school. In the other she is the new girl in school, where she falls for a cute, quiet artist. Then Addie finds herself drawn into a murder investigation, and her fate takes a darker turn. With so much to lose in either future, Addie must decide which reality she's willing to live through . . . and who she's willing to live without. Kasie West lives with her family in central California, where the heat tries to kill her with its 115-degree stretches. She graduated from Fresno State University with a BA degree that has nothing to do with writing. Visit her online at www.kasiewest.com.